Now through March 31, 2019, we have over 100 Cars on Clearance! Clearance means saving THOUSANDS of dollars on CPO Quality Cars. The service we offer is second to none! KBB appraisal for your trade! Drive your new home in YOUR new car in less than an hour and a half! 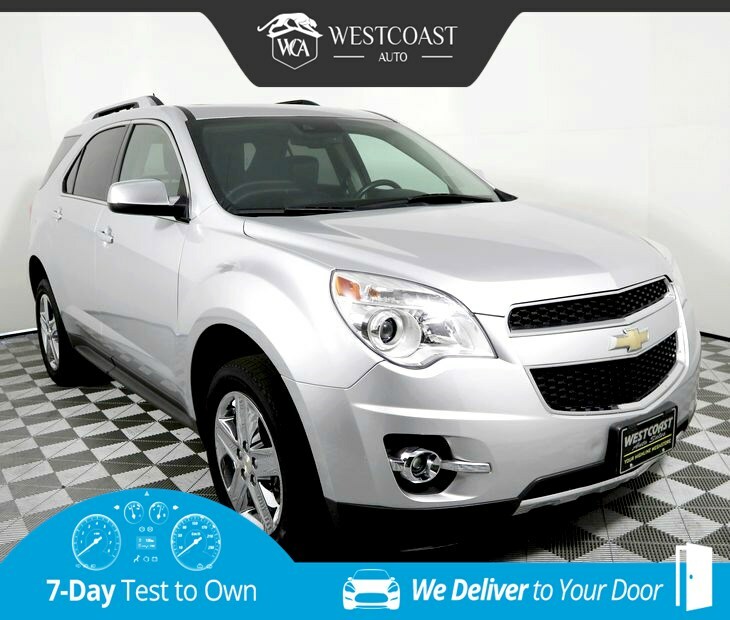 Our multi-talented Clean CarFax 2015 Chevrolet Equinox LTZ AWD in Silver Ice Metallic over dark interior has the efficiency you want, the space you need, and the style you crave. Motivated by a 3.6 Liter V6 that generates 301hp, this nimble 5 passenger vehicle attains 24mpg on the open road. Paired with a 6 Speed Automatic transmission, it provides refinement and responsiveness for a pleasant drive you'll look forward to each day. The athletic exterior of the LTZ with chrome clad wheels, roof rack side rails and fog-lights lends itself to a handsome look with a demeanor that is sophisticated, yet understated. Inside, you feel perpetually indulged with loads of legroom for optimal comfort and a 60/40-split second-row seat that slides and reclines. Remote start, heated leather seats, a power lift gate, a touchscreen with MyLink interface, Bluetooth phone connectivity and integration, WiFi, and a premium sound system are just a sample of what await you in this well-appointed cabin. Did you see the navigation? A top safety pick, our Equinox demonstrates a commitment to excellence with standard safety features as well as a steel safety cage, rear view camera, anti-lock disc brakes, All Wheel Drive and StabiliTrak to help you stay grounded in all sorts of road and weather conditions. You'll also have the peace of mind of OnStar's automatic crash response and a lane departure warning system. This is truly the complete package! Print this page and call us Now... We Know You Will Enjoy Your Test Drive Towards Ownership! Great quality, easy financing and affordable prices aren't the only things that make Westcoast Auto Sales the first choice of many discerning auto buyers. Stop in and See California's Dealer of the Year!